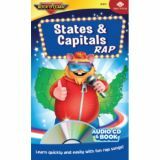 Students rap along and learn the states and capitals of the U.S. in alphabetical and mixed order. Delayed answers allow kids to check their progress. 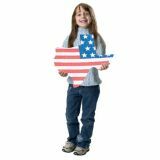 Includes lyrics book with fun facts about each state. Approx. 27 minutes. Ages 10 & up. 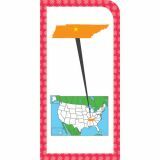 Colorful cards show each state in its regional context. 50 United States cards, 3 outlying area cards, 2 game and activity cards, and 1 information card. Ideal for home, school, or travel. 56 two-sided cards per set, with quick-sorting rounded corners. Handy 3 1/8" x 5 1/4" size. 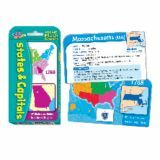 A trusted way to quiz children, the U.S. States and Capitals flash cards contain “must know” information and unique facts about each state. Cards measure 6" x 3" each and feature rounded corners for easy sorting.